“‘Simon, Simon, behold, Satan demanded to have you, that he might sift you like wheat, but I have prayed for you that your faith may not fail. And when you have turned again, strengthen your brothers.’ Peter said to Him, ‘Lord, I am ready to go with You both to prison and to death.’ Jesus said, ‘I tell you, Peter, the rooster will not crow this day, until you deny three times that you know Me.’” [Luke 22:31-34]. Well, returning to Peter, what do we see? Satan wants to sift Peter like wheat. Hold on a minute, what does it mean to “sift like wheat”? 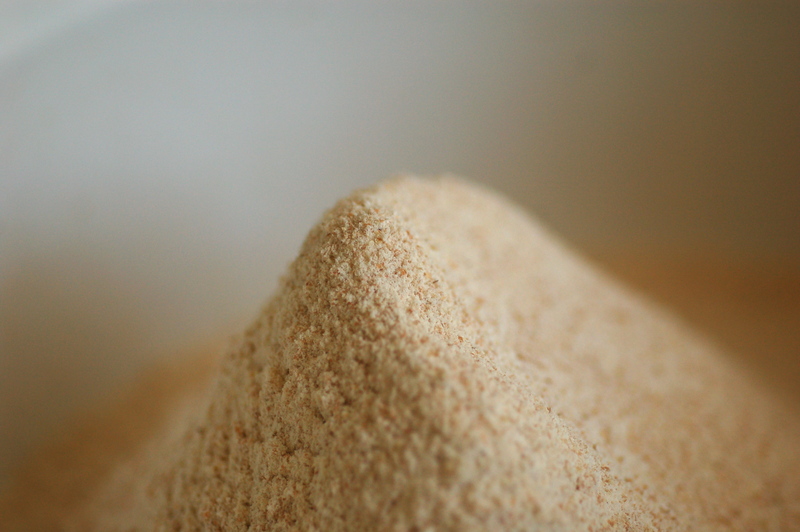 Sifting is part of the baking process where the flour has to be rid of all its coarser particles. It’s part of the purification process. “Ugh! You mean satan works for God?!? !” Why, yes! Don’t you know? Satan is one of God’s most dutiful employees. >Satan begs Jesus to let him sift Peter. He’ll take hold of Peter and in seeking to crush Peter, all that satan will do is to shake Peter’s faith to the verge of overthrowing it. The Lord, instead of stopping satan, him. “Yup, have a go at it,” He says. Thus, we often see us saints in the clutches of the enemy whom He allows unfettered access. I’ve no doubt that had I been Peter, I would’ve asked, “Is there another way?!? !” Like Mary and Martha, I would’ve felt sure that the death of Lazarus could’ve been avoided. So, when the darkness enfolds us, we’re apt to say that God has forsaken us or that we’ve sinned and we scramble for a faith formula to rid us of our torment. But, my dear apprentices, I wish with all my heart that you would hear this deep in your spirit that when God prepares a man or woman for apostleship, He purges to the depths of their soul. But “do not fear what you are about to suffer. Behold, the devil is about to throw some of you into prison, that you may be tested, and for ten days you will have tribulation. Be faithful unto death, and I will give you the crown of life.” [Rev. 2:10]. Going back to Peter, notice what Jesus says in Luke 22:32 NIV, “But I have prayed for you, Simon, that your faith may not fail. And when you have turned back, strengthen your brothers.” “Converted” is a better translation of the word the Greek “έπιστρέφω” than “turn back”. In this context, what’s implied is that after the hideous sifting through which Peter is about to endure, he’ll finally be “converted”, i.e. this will be the occasioning of his turning away from self-love, his turning his back on himself and his self-sufficiency with his maddeningly inflated ego and be brought low enough to see and worship the true God. None of the rest of the disciples were spared either. We will all suffer for His Name’s sake but none will suffer the humiliation which Peter will endure and thus, none will be so uniquely qualified to strengthen the people [2 Cor. 1:3-7]. “Peter,” says the Lord, “when you’ve come back from the brink, stabilise, strengthen and make firm the others” or in the words of Isaiah, “Strengthen the weak hands, and make firm the feeble knees. Say to those who have an anxious heart, ‘Be strong; fear not! Behold, your God will come with vengeance, with the recompense of God. He will come and save you.” [Is. 35:3-4]. But let me say this to you – no apprentice can graduate to the apostolic life until he or she has been drained of the self-sufficient life. ← I Owe, I Owe, It’s Off To Church I Go…?